My husband is a huge scallop fan. He eats scallops any time they’re on the menu in a restaurant. 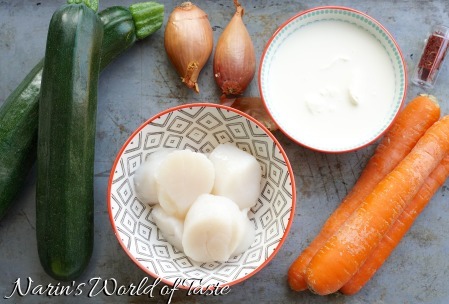 In Luxembourg, we’re fortunate to get sashimi-grade scallops at our local supermarket, which allows me to experiment with different kinds of recipes. 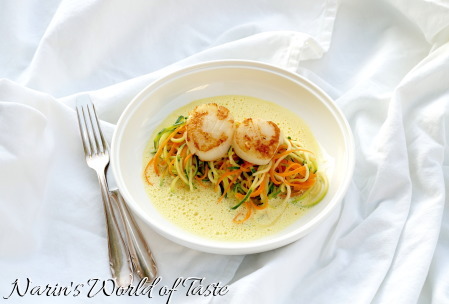 Here I combine the fresh ocean flavor of the scallop with the exquisite flavor of saffron. This can be a starter or a main dish, and the below ingredients make starters for four. 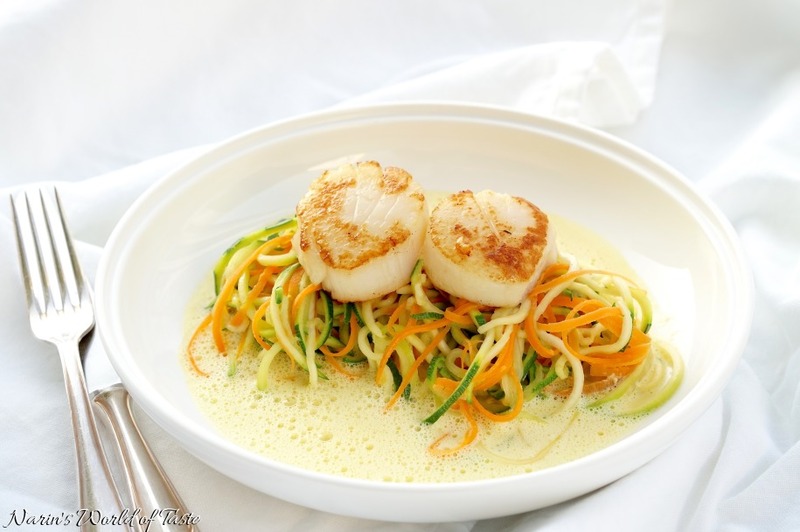 For a main dish, you can double the scallops and the vegetable spaghetti. The amount of sauce should be enough. For the saffron sauce, peel the shallot and dice thinly. Heat one table spoon of oil or butter in a small pan or pot. Add the shallots and let them brown slightly, then add saffron and deglaze it with white wine or champagne, reduce and deglaze again. Add the crème and season with salt & pepper. 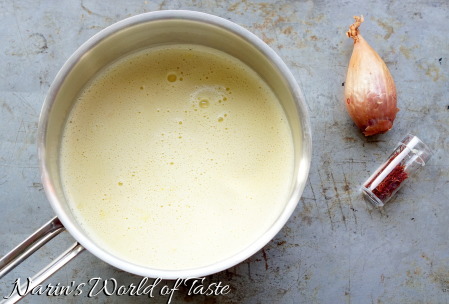 Alternatively, to keep it a bit lighter, replace some of the crème with vegetable stock. Puree the sauce with a hand blender or a normal blender. 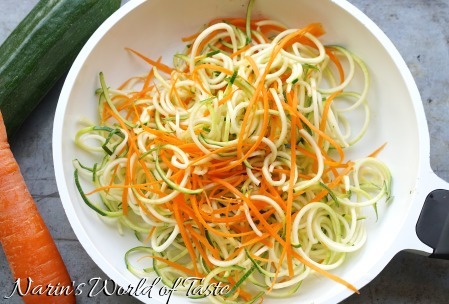 For the vegetable-spaghetti, I use a Spiralizer. It works really nicely with medium to big size zucchini and carrots. You can also use a simple peeler and you will get vegetable shapes similar to linguini. Heat some oil or butter in a pan and sauté the vegetables for a few minutes until still al dente. Season with salt & pepper. At the very end, just before serving, heat some olive oil or sesame oil in a pan and roast the scallops on each side for about 2 minutes. They should be nicely brown outside and still glassy inside.